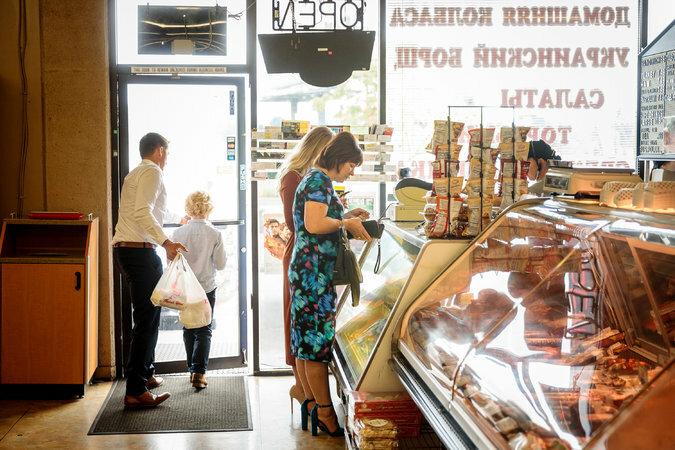 VANCOUVER, Wash. — Growing up in the 1970s and ’80s in Ukraine, then part of the Soviet Union, Halyna Davydyuk was bullied by classmates and by teachers, who forced her to sit in the last row because she was an evangelical Christian. Her father was jailed for his beliefs. Normally, someone seeking better prospects in the United States would wait several years to be admitted. But Ms. Davydyuk, her husband, their seven children and a daughter-in-law arrived here in Vancouver in May just two years after applying. They joined a growing number of Ukrainians who have streamed into the United States in recent months even as the country has closed the door on other refugees. What distinguishes the Davydyuks, who are Pentecostal, from other immigrants is a program created nearly three decades ago to benefit those who suffered from religious persecution in the Soviet Union, where the Communist Party hounded religious groups it could not control. There is far more religious freedom in their countries now. But while refugee camps in several continents swell with families escaping Islamic fundamentalists and bloody civil war, the ex-Soviets still enjoy a favored status when applying to come to the United States. Indeed, they have become a prime example of how federal law is slow to adapt to changing circumstances. This is especially true in immigration, where lack of consensus has thwarted attempts to address the status of illegal immigrants and tackle perceived abuses in visa programs for tech workers and investors. The 1990 amendment, which was proposed by Senator Frank R. Lautenberg of New Jersey, established a legal presumption of eligibility for refugee status for Jews and Christian minorities from the former Soviet Union and Southeast Asia. That is a more lenient standard than for other refugee applicants, who must prove they face a well-founded fear of persecution. Iranian religious minorities were added to the program in 2004. But Evangelical Christians make up more than 90 percent of the current Lautenberg pool, the vast majority of them from Ukraine. Nearly 4,000 Ukrainian refugees were admitted to the United States in the first 10 months of this fiscal year, compared with 2,543 for the entire 2016 fiscal year and just 227 four years ago. Their 2017 numbers are dwarfed by arrivals from the Democratic Republic of Congo, Iraq, Syria, Somalia and Myanmar. But since May 1, as the Trump administration began to restrict admissions of refugees, Ukraine has accounted for the second-largest number of arrivals, behind only Congo. The Supreme Court has allowed parts of President Trump’s temporary travel moratorium to stand and will hear arguments this year about whether it is a legal use of his national security powers or illegally discriminates against Muslims, as opponents argue. In response to questions, United States Citizenship and Immigration Services described the surge in Ukrainian arrivals as “unrelated to the executive orders” on travel issued by Mr. Trump. In the 2017 refugee admissions report to Congress, the State Department said applications for the Lautenberg program had increased substantially since conflict erupted in Ukraine. Fighting in eastern Ukraine between government forces and Russian-backed separatists has killed more than 2,000 civilians and thousands more fighters, and forced many people to move to other parts of the country, according to the United Nations. Refugee experts say the situation in Ukraine pales in comparison with massacres and persecution of Yazidis, Kurds, Christians and Shiite Muslims in territories held by the Islamic State. A United Nations report last year described the widespread executions, enslavement and rapes of the Yazidis as genocide. No one wanted to fault the Lautenberg program, though, noting the tenuous situation in Ukraine and the fact that Christian minorities, who are seen as being pro-West, are still vulnerable to persecution in pro-Russian areas. The Lautenberg Amendment has also been instrumental in the past in giving Jews a way to safety. “For Iranian religious minorities, like Christians, Jews and Bahai, the Lautenberg Amendment is a lifesaver,” said Mark Hetfield, president of HIAS, a resettlement agency. Over the years, the Lautenberg Amendment has spawned a chain migration as beneficiaries settle in the United States and then file “affidavits of relationship” for close relatives who qualify as refugees as long as they belong to a historically persecuted Christian minority from the former Soviet Union. Many wind up in the Pacific Northwest. 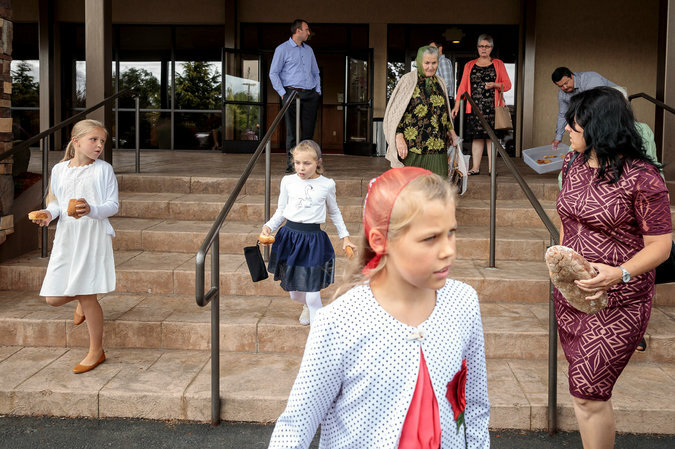 Greater Portland, which includes Vancouver, is home to more than 100,000 Slavic Christians, who have erected dozens of churches at the epicenter of the community’s life. Mr. Globak leading a Sunday morning service this month. Before the Soviet Union collapsed, Evangelical Christian churches there operated underground. For the pastor, who arrived here in 1992 with his wife and 13 children, memories of baptisms held under the cover of darkness, relatives imprisoned for practicing their faith and Bibles confiscated by state agents are still fresh. Even today, he said, in a country where the Orthodox Church is dominant, Pentecostals often are derided as spies or cult members. In March, Mr. Globak was among several Slavic pastors in the Northwest who sent a letter to Vice President Mike Pence and Congress calling for the extension of the Lautenberg Amendment. Its annual renewal was delayed because it was pegged to an appropriations bill, but it was extended in May. At the Vancouver office of Lutheran Community Services Northwest, a resettlement agency, 250 of the 265 arrivals this fiscal year have come from the former Soviet Union, including 200 from Ukraine. “We want to diversify the refugee population that we serve,” said Mindy Johnston, the resettlement director, adding that more Ukrainian arrivals were scheduled. Ms. Davydyuk, the Pentecostal who arrived in May, was invited to Vancouver by her sister, Lilia Volovodik. Ms. Volovodik’s family settled here a decade ago, sponsored by a relative of her husband, who preceded them. 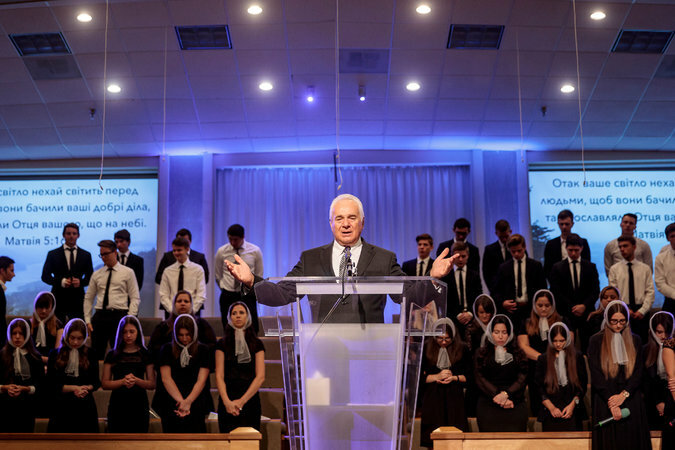 Pentecostals in Rovno, their hometown in western Ukraine, began to worry that Mr. Trump’s immigration policies would harm Lautenberg applicants. At her church, worshipers prayed for the program, Ms. Davydyuk said. Ultimately, the Davydyuks were cleared to travel to the United States, arriving in Vancouver on May 30. Ms. Davydyuk, who spoke in Russian through an interpreter, said she was thinking about sponsoring two sisters. Her 22-year-old son, Davyd, and his pregnant wife, Anhelina, who is expecting to give birth next month, have filed forms for her mother, father, sister, brother and sister-in-law. Another refugee couple, Anna and Daniel German, made a living in the wholesale flower business in Donetsk, in eastern Ukraine, until a bomb crashed into their greenhouses in August 2014. They fled to Odessa, and Mr. German’s grandmother, in Vancouver since 1999, offered to sponsor them under the program that had benefited her own family. “We thought a little and decided to emigrate,” recalled Mr. German, whose family is Baptist. On their refugee application, they had to name the church they frequented and for how long. They were approved in just over a year, arriving in Vancouver in November 2015 with their four children, now 15, 13, 8 and 6. Mr. German works as an independent contractor making deliveries for Amazon. His wife cleans the Slavic Grace Baptist Church, one of several Ukrainian congregations where women must cover their heads and wear long skirts. In the last year, Ms. German has filed paperwork for the families of her two sisters and brother, who live in Odessa, to enable them to also emigrate. “In Odessa, it’s O.K. but things can change at any moment,” Ms. German said.